Adiza & Adina are new International Champions, what a great start to 2014! 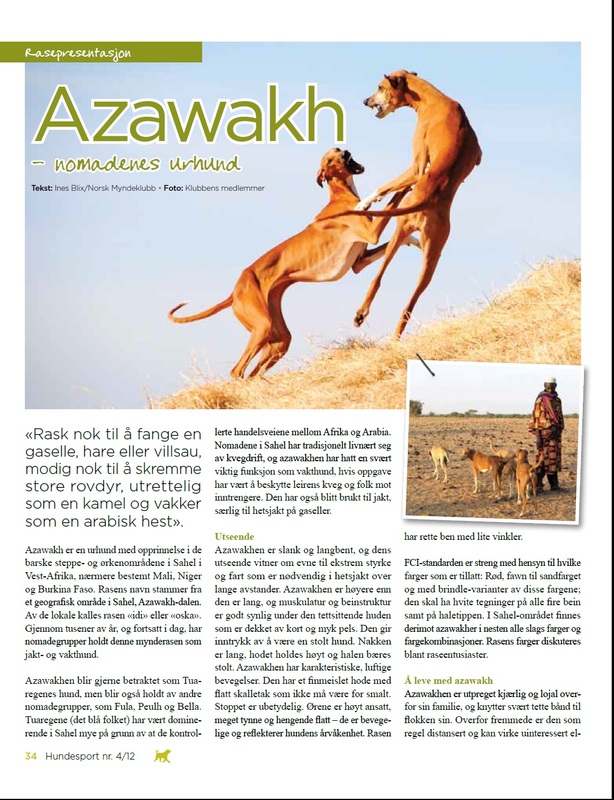 We wish all our Azawakh-friends a Happy New Year! 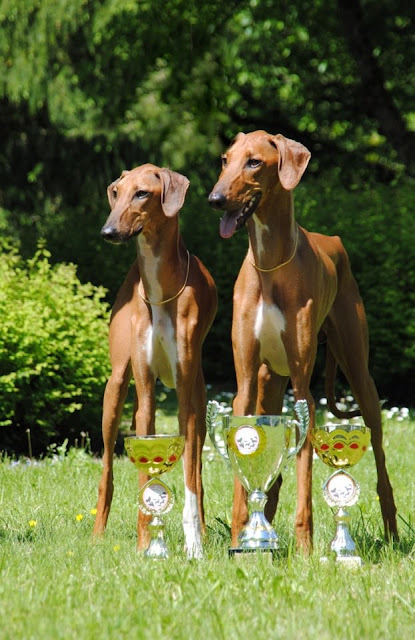 Special Greetings to Eva, Hanne & Rune, Cilla with family, Isabel, Max, Nils & Guri, Joanna & Grzegorz : thanks for taking so excellent care of Bani & Djerat´s kids! You are the best! 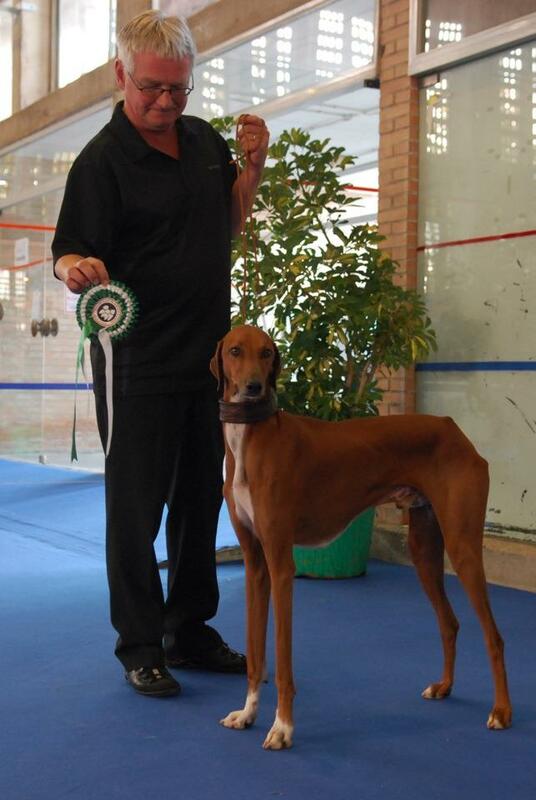 Ahadi BOB and BIG-2 in Santarem! 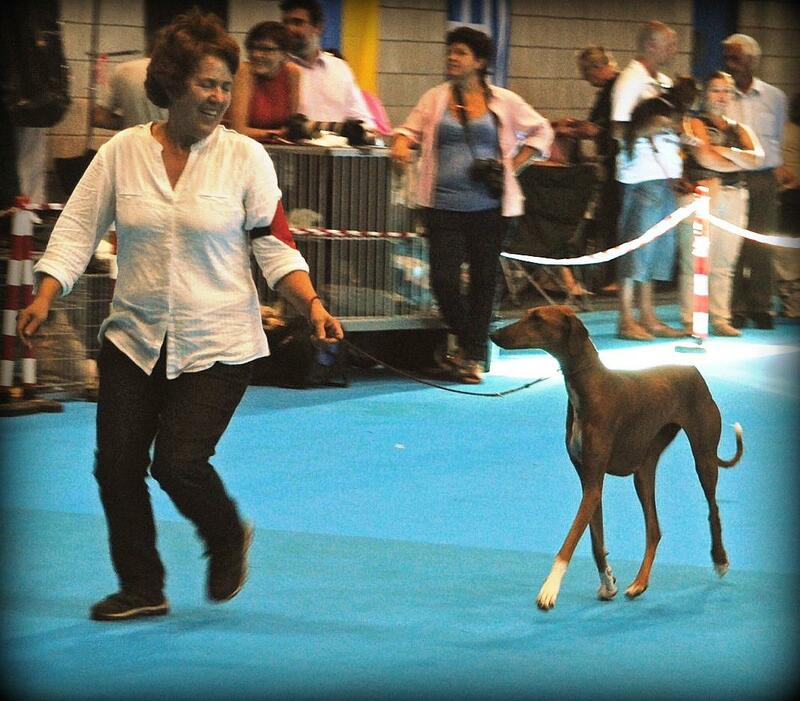 Ahadi BOB and CAC in Talavera! El-Adini Ayorou was BOB and BOG 3 for Wera Hübenthal. 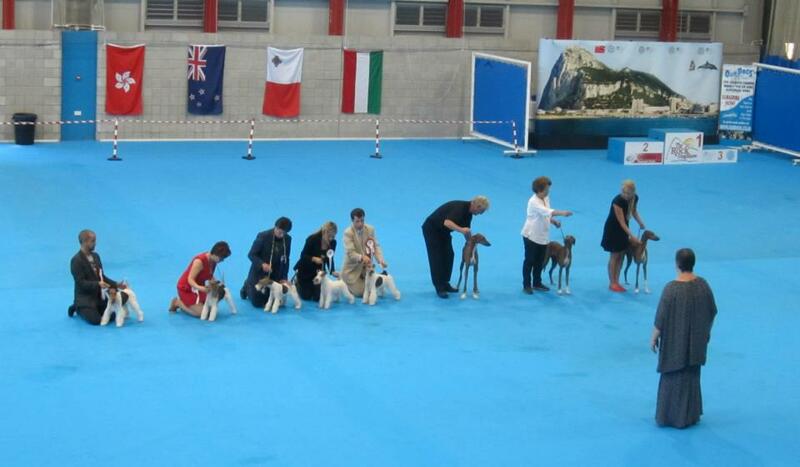 Adiza BOB in Gibraltar, Bani-Bangou new GIB CH! 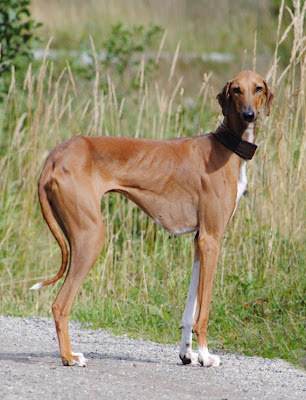 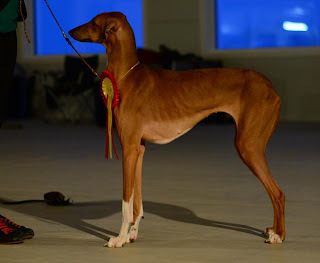 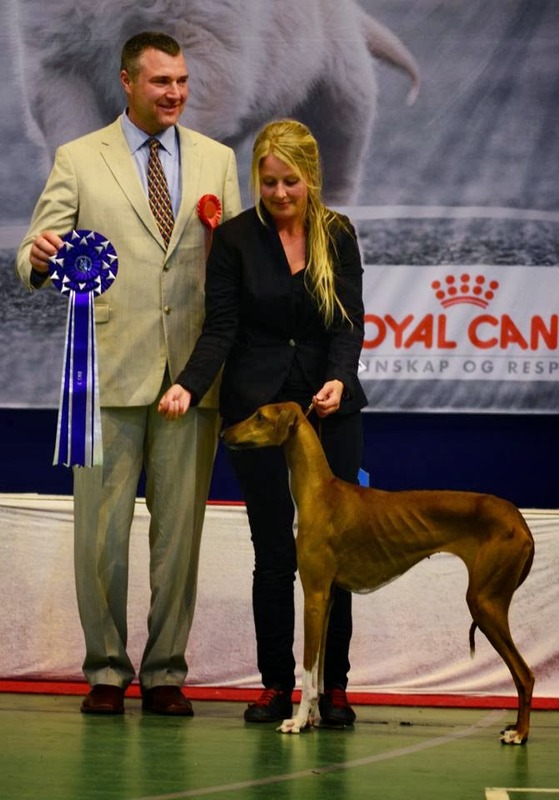 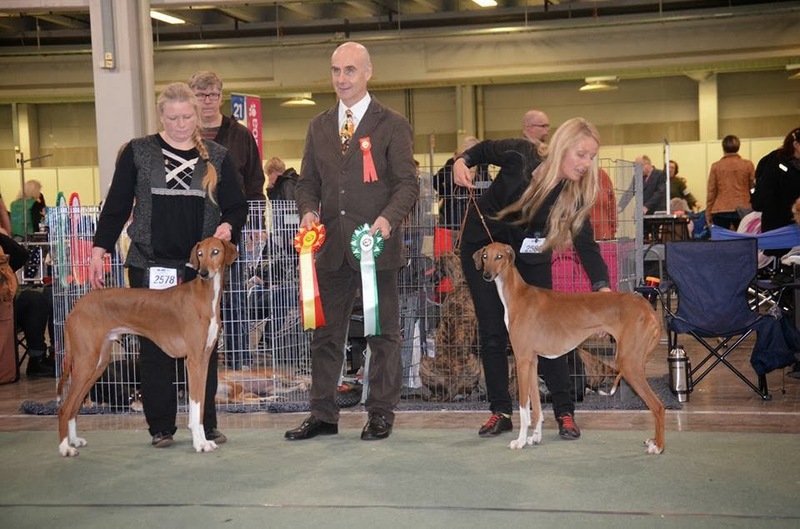 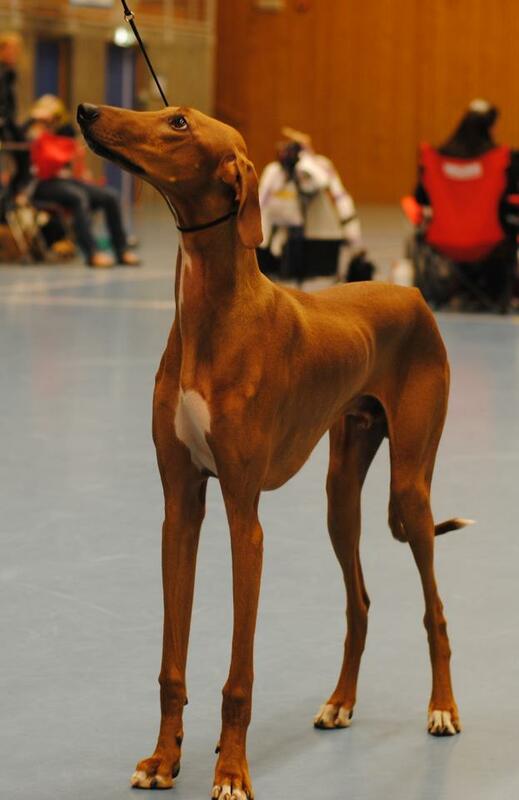 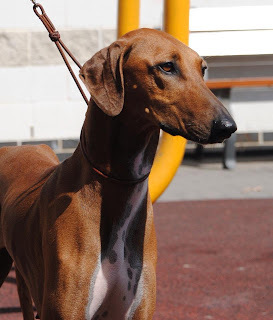 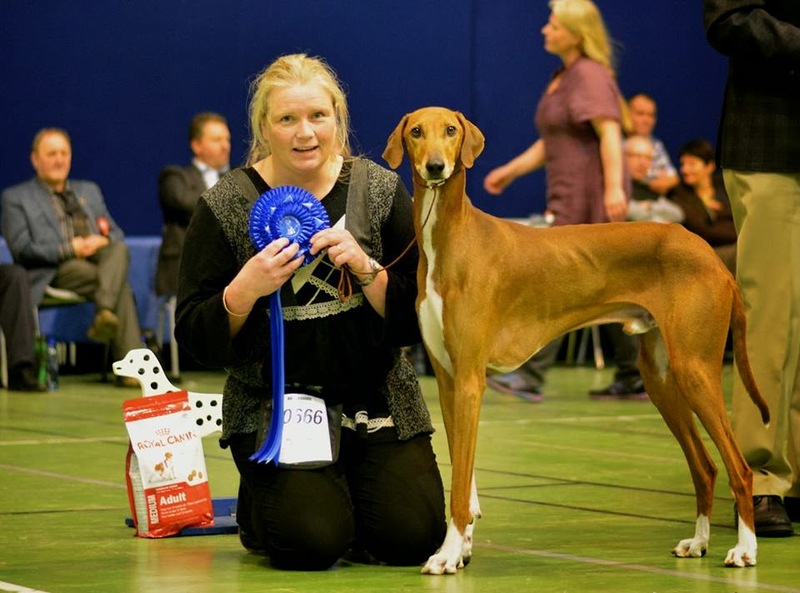 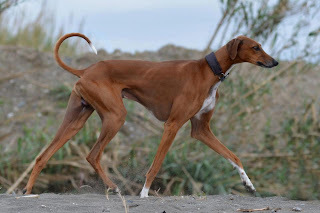 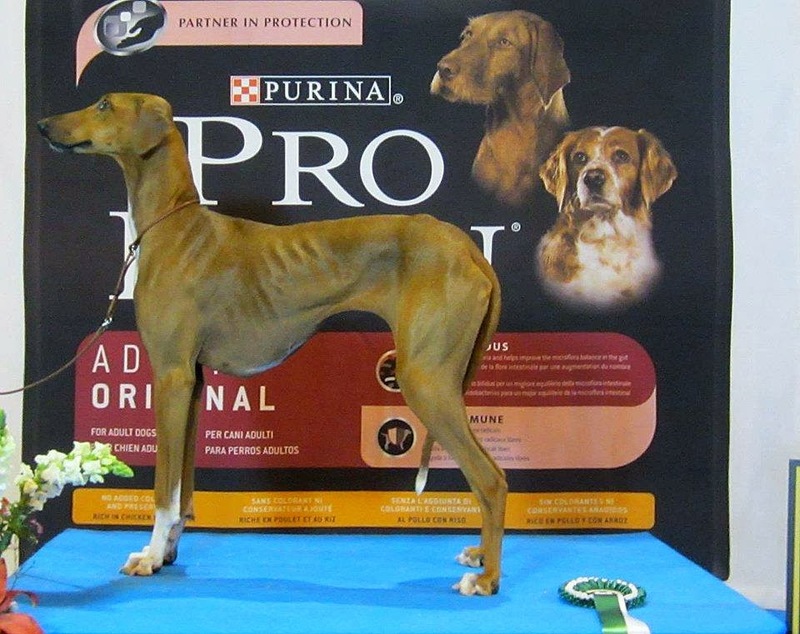 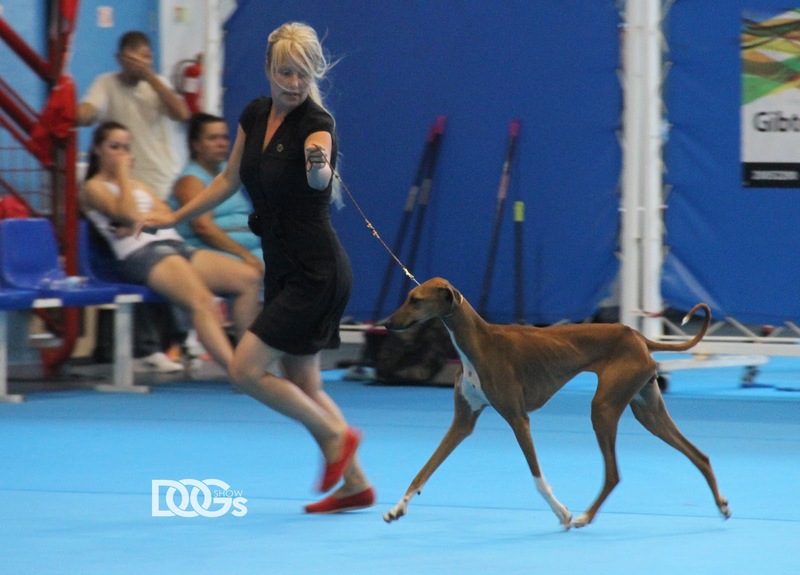 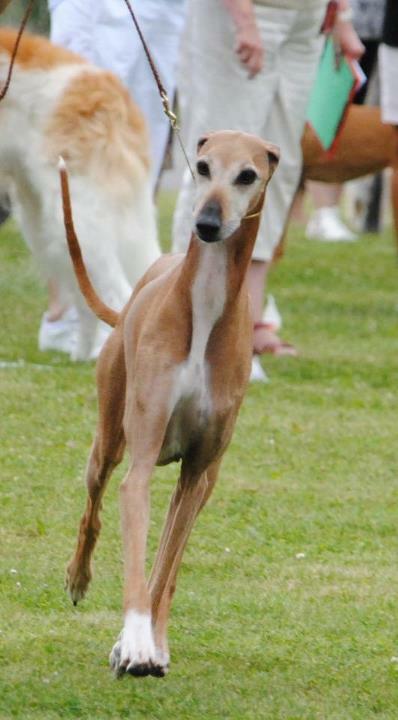 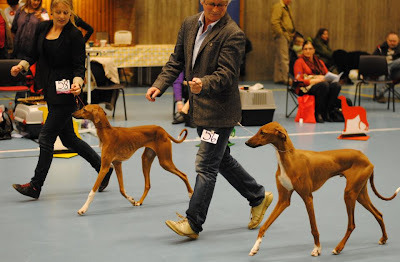 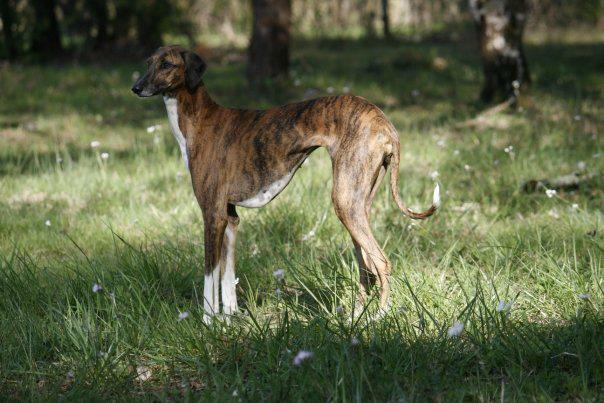 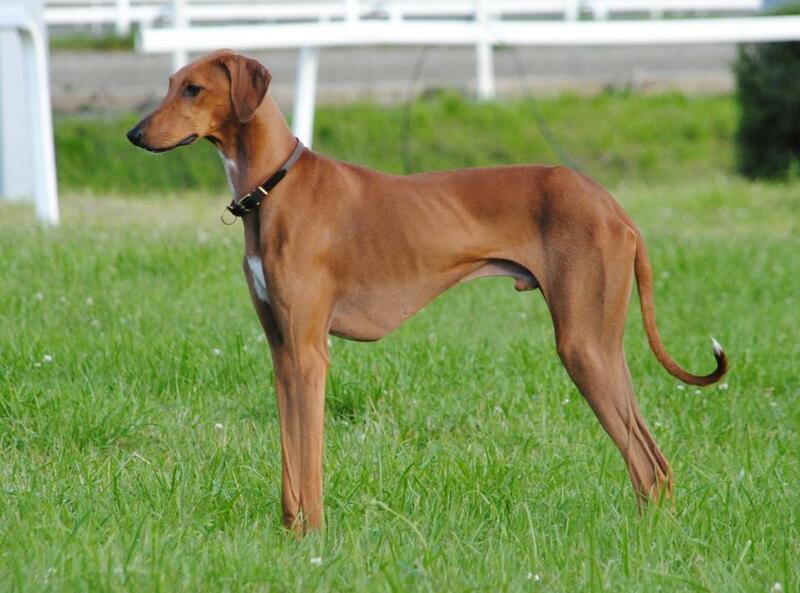 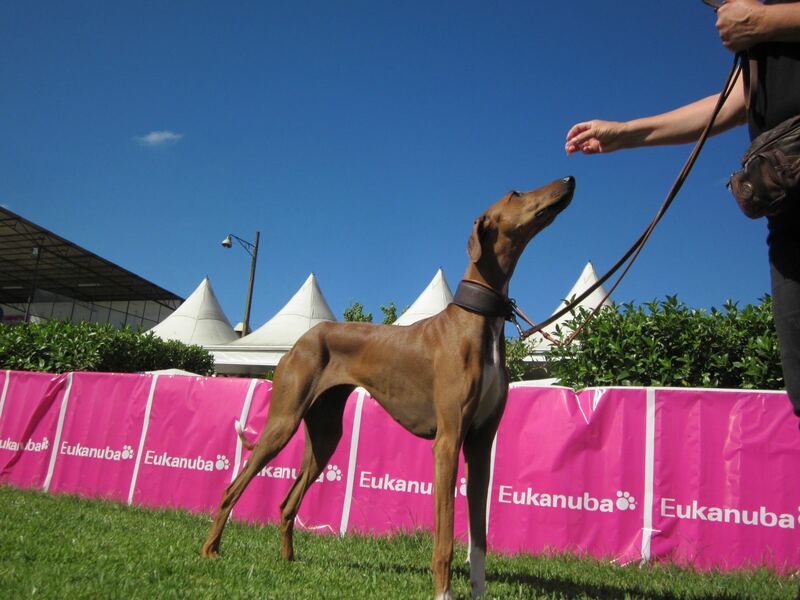 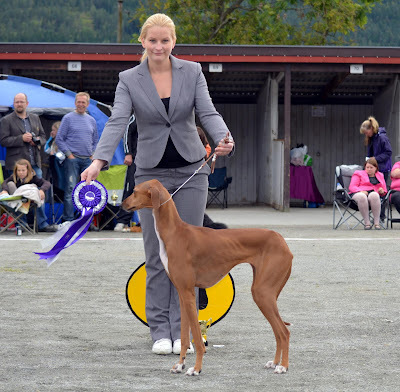 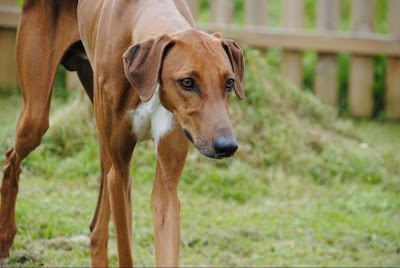 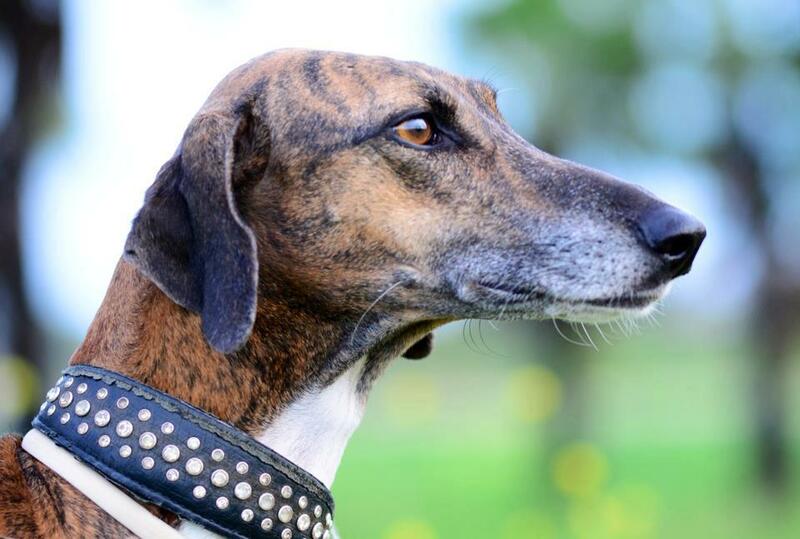 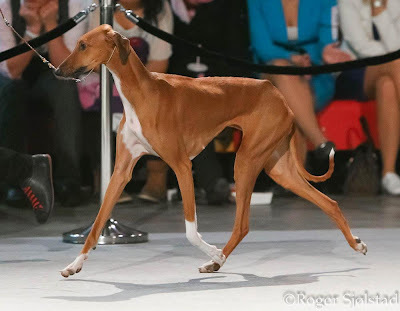 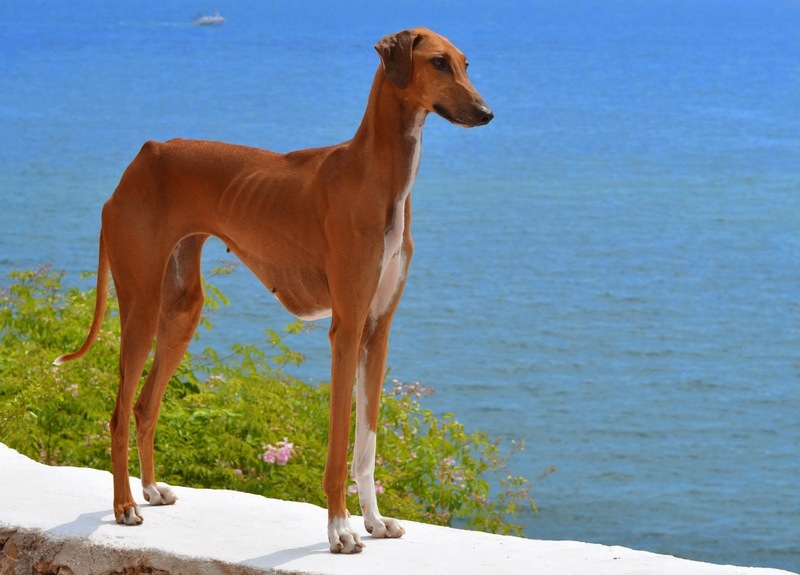 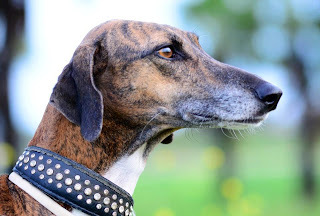 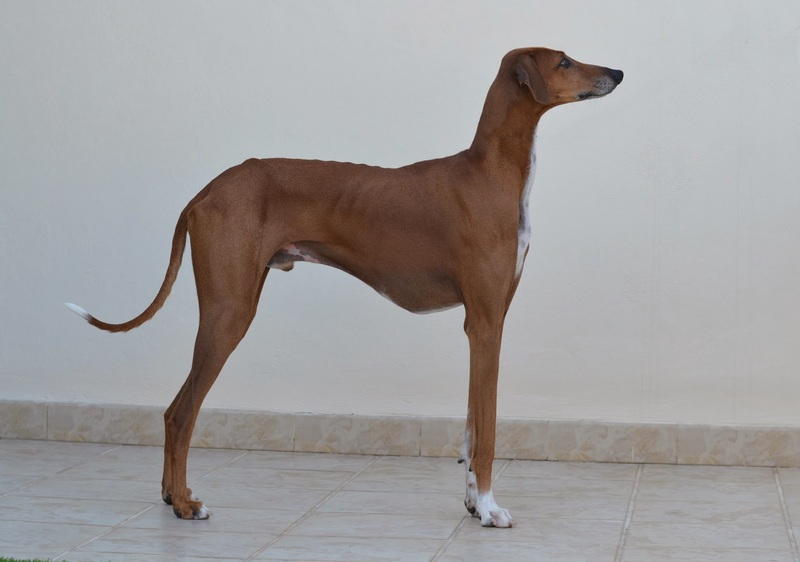 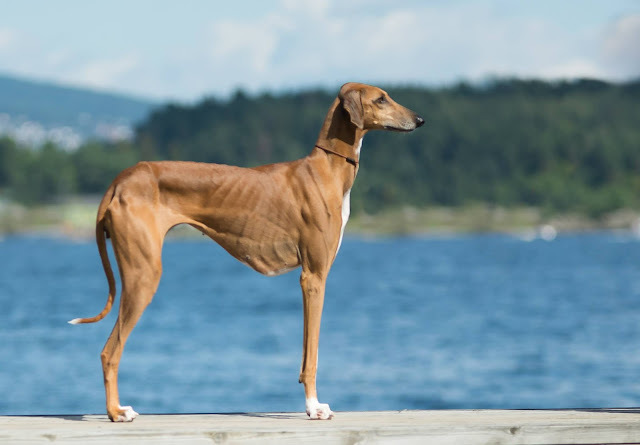 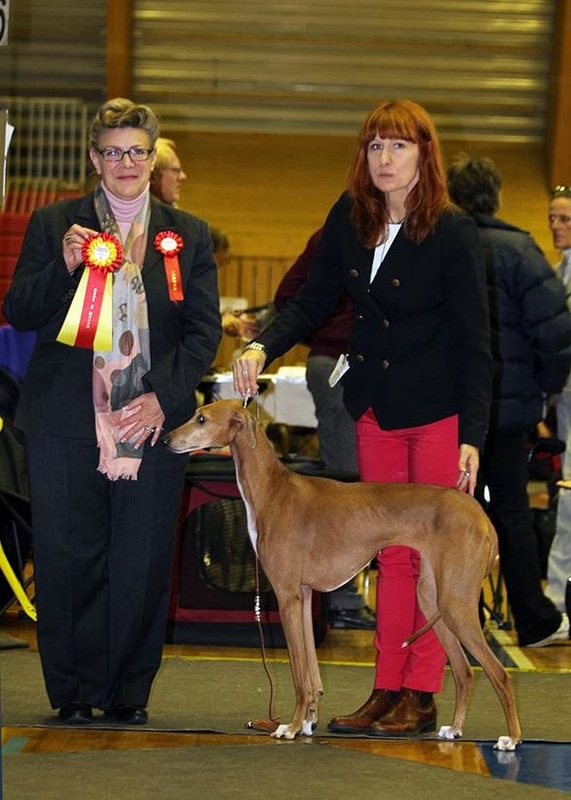 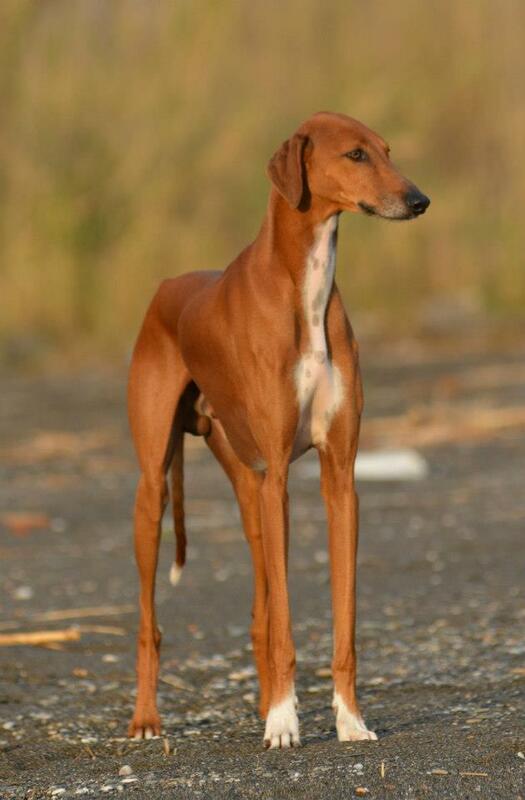 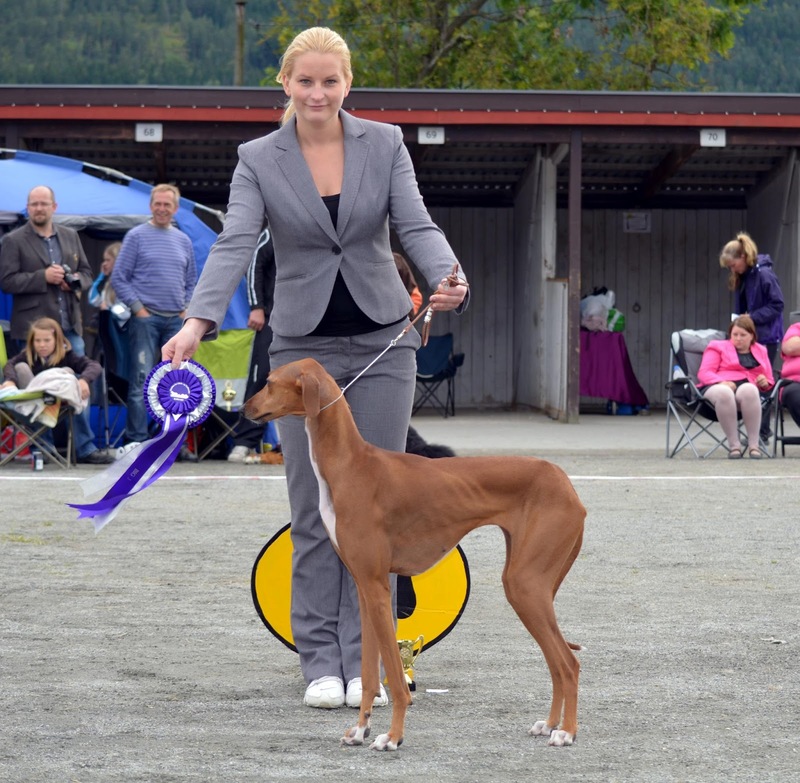 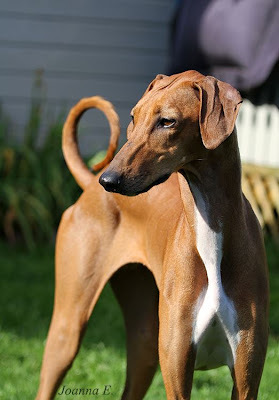 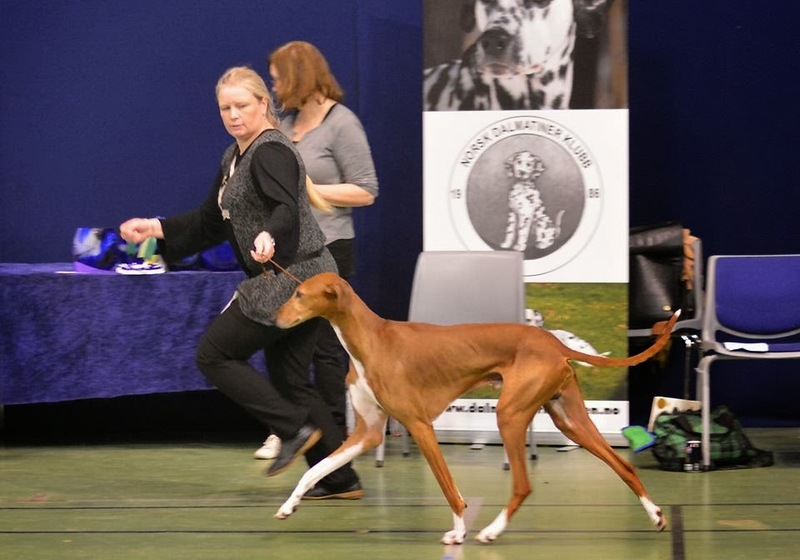 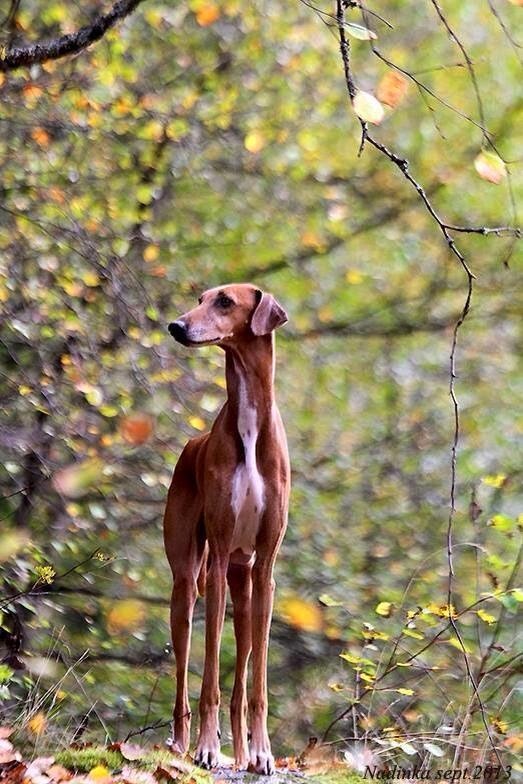 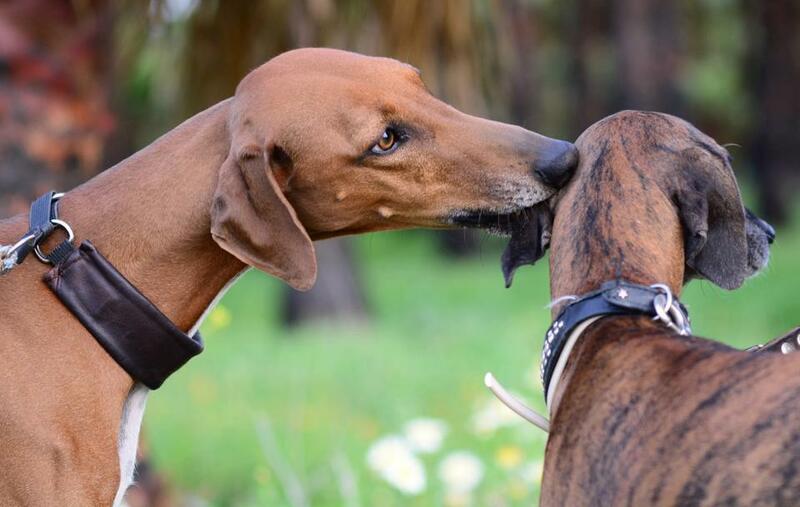 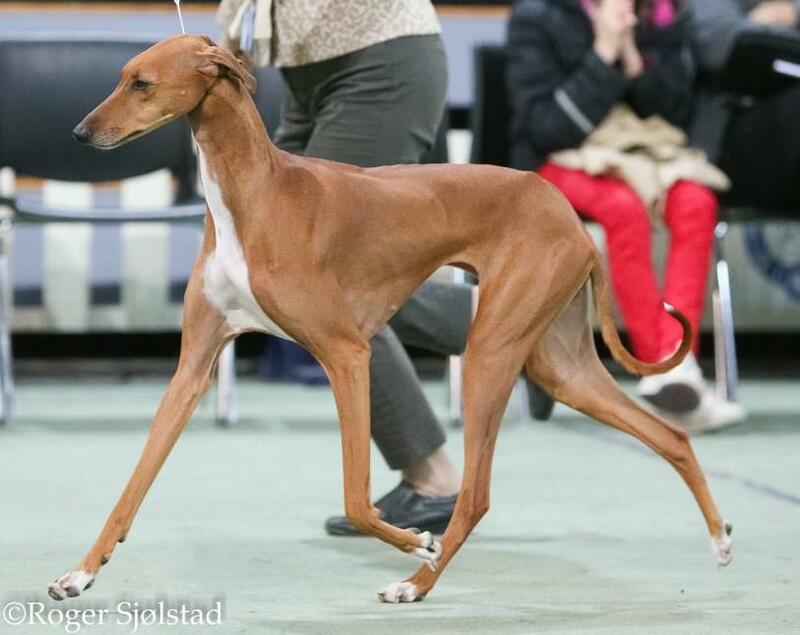 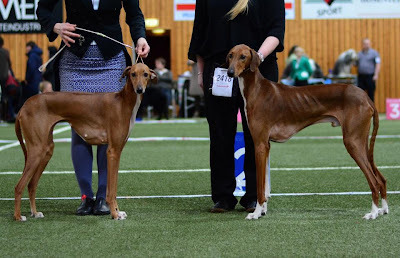 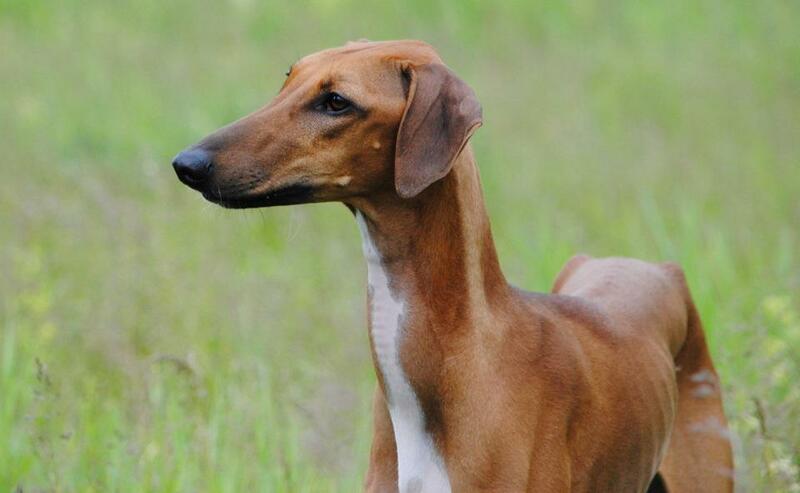 El-Adini Adiza was BOB in Gibraltar, and Bani-Bangou Kel Tamaschek won Champion class and is now GIB CH. 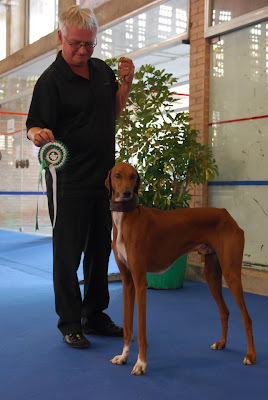 The judge was Carlos Saevich, Argentina. 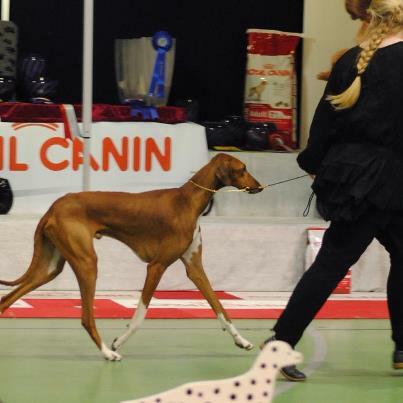 Congratulations to Isabel and Ahadi with great results in Estoril! 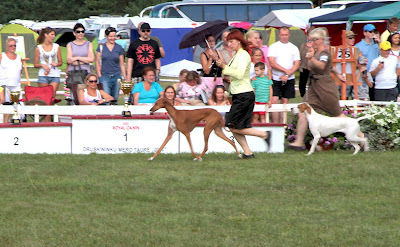 Ahadi was BOB both days and she was also Runnerup in Group 10 the saturday. 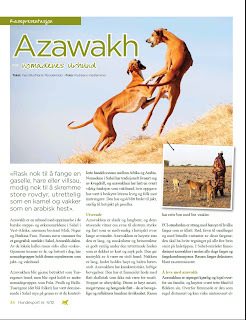 El-Adini Adiza BOB and BOG-4! Adiza won BOB, CAC and she was finally 4th Best in Group 10! 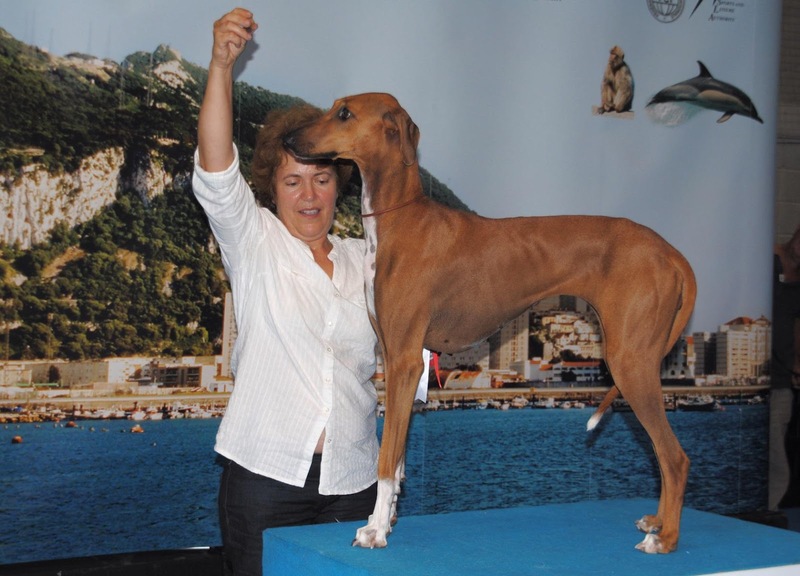 The jugde was Lemo Niksa, Croatia. 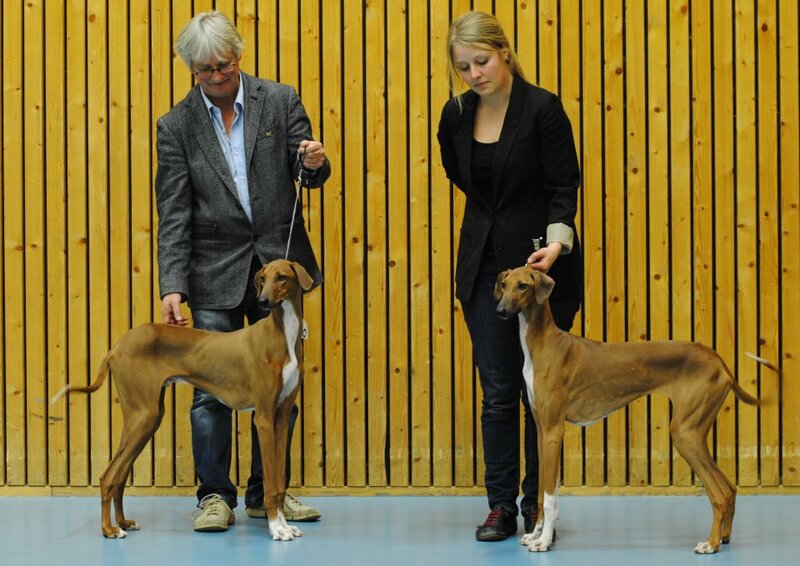 Congratulations Adina, Joanna & Grzegorz!!! 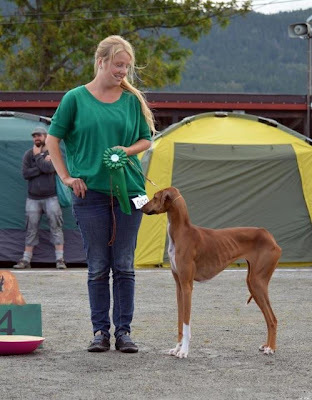 Congratulations to Akiki with great results this weekend! 2 x BOB and 2xCAC, Nesbyen, Norway. Congratulations to Joanna and Adina with great results this weekend!! 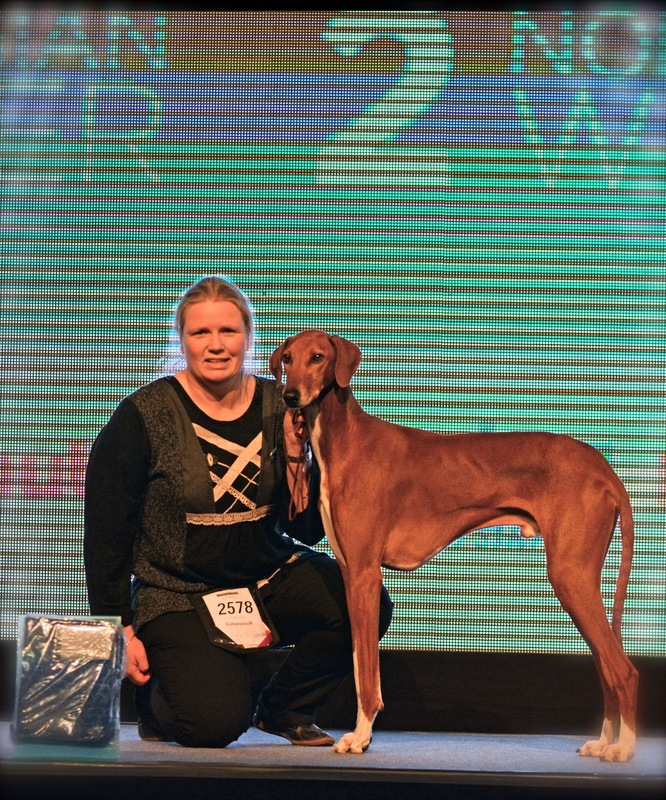 El-Adini Ahadi 2 x BOB and Lisbon Junior winner! 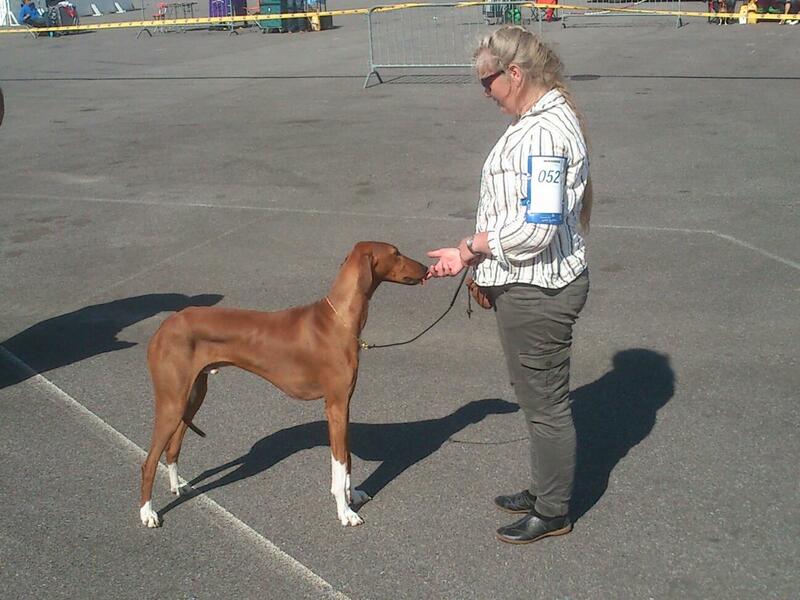 Adiza was also placed 3rd in Junior Group 10! El-Adini Abadi JBOS, JWW-12! Congratulations Eva & Thomas! 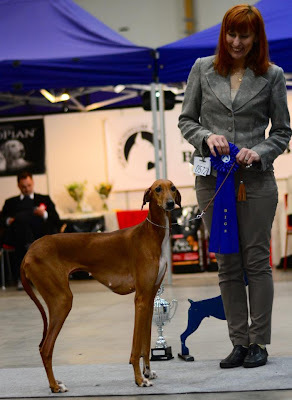 El-Adini Akiki BEST IN SHOW 2!! 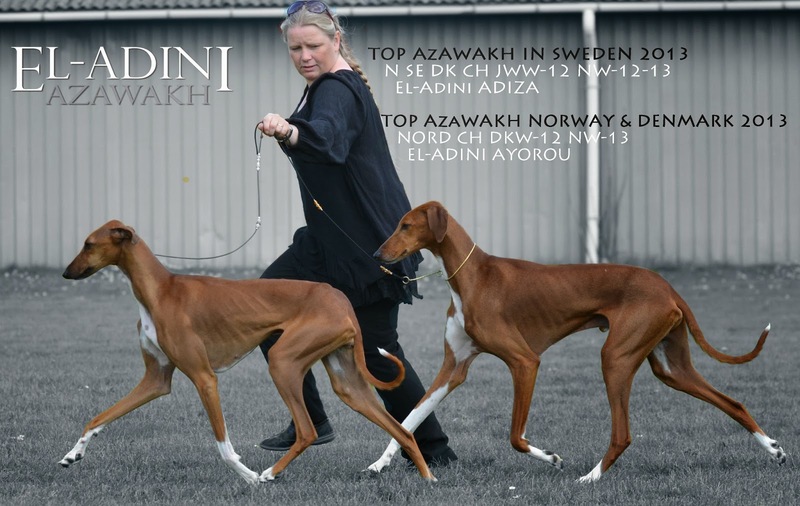 This weekend in Drammen El-Adini Akiki was BOB puppy, El-Adini Adiza was BOS puppy, and El-Adini Abadi was BM puppy-2! 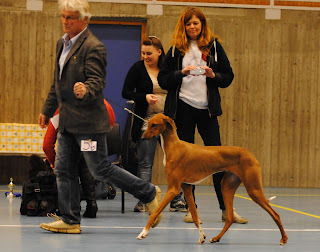 Akiki was later Best of Group 10, and finally BEST IN SHOW 2! 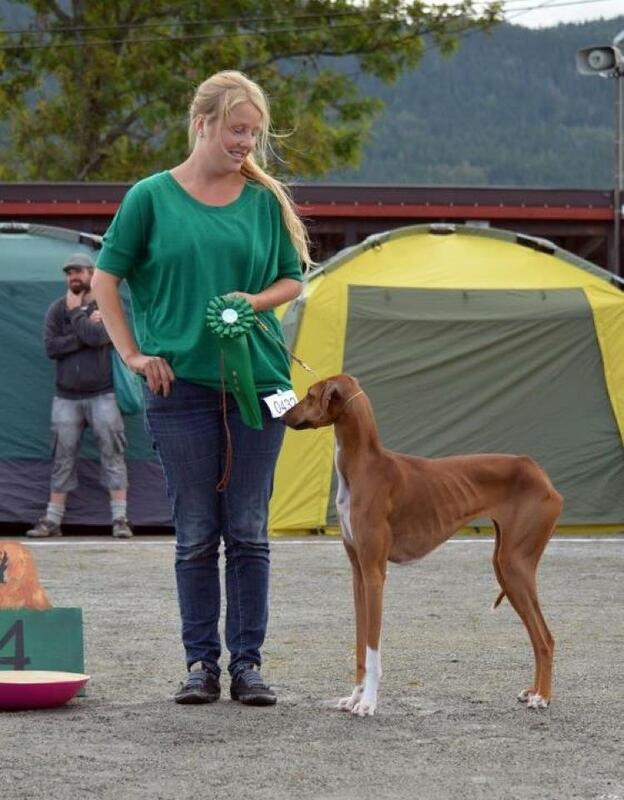 Jugde was Petter Fodstad, Norway. Congratulations to Guri & Nils, and Eva & Thomas!